The data searchable via SPRESIweb has been collected by the All-Union Institute of Scientific and Technical Information of the Academy of Sciences in the USSR (VINITI) and the German Zentrale Informationsverarbeitung Chemie in Berlin (ZIC) since 1974. SPRESIweb allows the Synthesis Tree Searched to retrieve reaction trees to or from a given target molecule. A database of over 600 named reactions is also accessible via SPRESIweb, giving real-life experimental examples of classic literature reactions. Watch an introductory webinar to InfoChem’s SPRESIweb here. 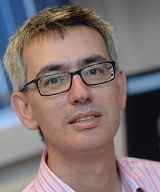 We are pleased to announce Professor Peter Scott of the University of Warwick as the Chair of the National Chemical Database Service (NCDS) Advisory Board. The purpose of the Advisory Board is to oversee the management and use of the Service, in addition to reviewing performance and strategy. The Advisory Board consists of independent representatives from the UK chemistry research community, EPSRC and UK libraries. We are delighted to welcome Peter as the new Chair. Professor Peter Scott FRSC is a Professor of Chemistry and Deputy Head of Faculty of Science at the University of Warwick. Peter’s research interests lie in the field of metallo-organic chemistry. His group works on designing self-assembling chiral systems, and investigating their use for medical applications and as catalysts for enantioselective transformations of organic molecules. His group also synthesises and characterises molecular materials and polymers, and collaborates with biologists and material scientists. Peter received his BSc at the University of Salford before completing his DPhil at the University of Oxford. Postdoctoral positions at the Universities of Konstanz and Sussex were followed by his appointment as a Lecturer in Chemistry at the University of Sussex. Peter moved to Warwick in 1997. 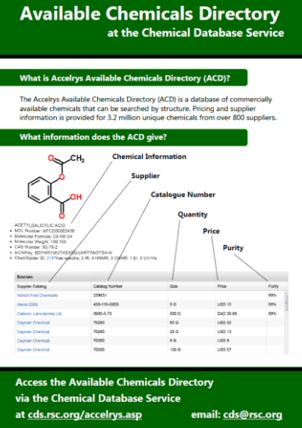 If the RSC NCDS can integrate sources of data in such a way as to make them useful to chemists, rather than just database experts, then it will create a step change in its utility for chemical sciences research. 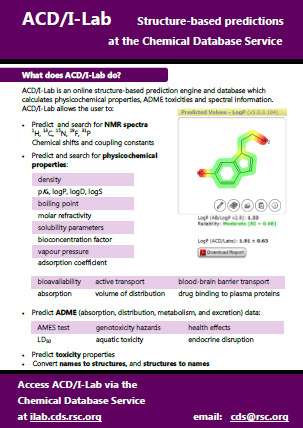 A good example of this is ChemSpider which from a chemical structure presents us, for free, with an integration of data sources that is bigger than the sum of the parts. 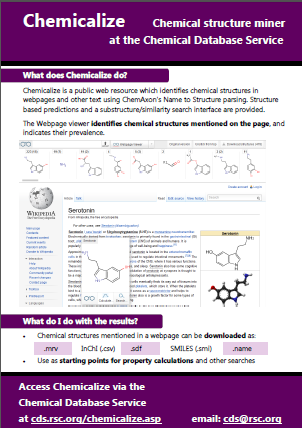 As a synthetic chemist I am also excited about micropublication and the idea of crowdsourced improvement of existing literature data and protocols via mechanisms such as ChemSpider SyntheticPages and ChemSpider Reactions. Finally, if the RSC can provide leadership to the UK and world chemistry community in the integration of data sources, such as ELNs, then that will be a famous achievement. The RSC has set out the vision and strategy, and is rolling out the programme. At the core of this for me is useability and – importantly – engagement and contribution from the worldwide community of chemists and other scientists. I think that in the not too distant future, the NCDS will be viewed by Members as one of the essential activities of the RSC alongside Publications, Scientific Prizes and Events. Many thanks to Valentina Eigner-Pitto from InfoChem for an excellent webinar running through the capabilities of SPRESIweb. 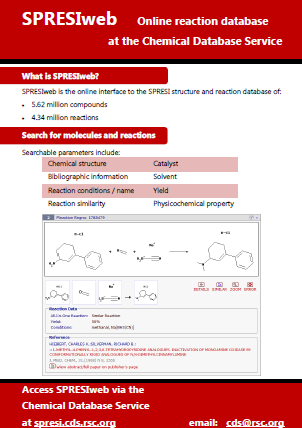 SPRESIweb is a structure and reaction database for organic chemists. The user can search 5.52 million molecules and 4.26 million reactions, extracted from 675,000 references and 164,000 patents covering the years 1974 – 2011. The next CDS summer webinar, “Overview of Chemicalize from ChemAxon” will be held on the 13th August at 4pm BST. Register here.